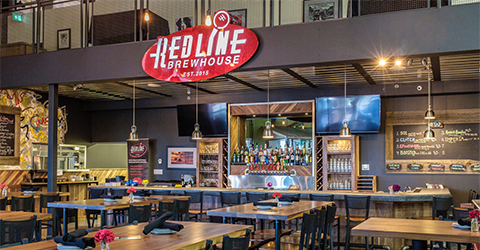 Host Your Event At Redline! We offer two beautiful open concept venue spaces, which can be arranged to suit your needs; a full-service kitchen complete with unique menus, an extensive wine collection, audio/visual resources and private brewery tours available. Our Brewhouse with both spaces combined can accommodate up to 120 guests. 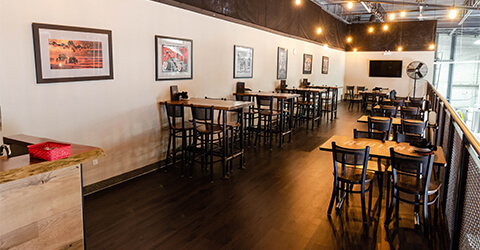 This venue can accommodate up to 45 guests and features a view overlooking the Taproom and brewery. It is the ideal event space for intimate gatherings such as Birthday’s, Anniversaries, Retirement, Corporate and Holiday parties. It is a simple and functional space that you are going to love! Our Taproom venue can accommodate up to 55 seated guests with an additional 10 seats at the bar and offers our spectacular brewery as your backdrop. Its wrought iron detailing and rustic lighting is subtle yet elegant. Our social atmosphere is the perfect environment for any occasion, from dinner gatherings to holiday parties. 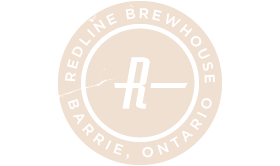 Redline Brewhouse provides full service catering by our Head Chef and his team. We offer a variety of delicious, fresh meal options as well as casual dining opportunities with our spaces. Have an inquiry? Let us know and we can work together to create a memorable experience.